The front of Target’s arts and crafts aisle changes with each new holiday and season. You never know when you’ll see something unique like these small wood acorns. 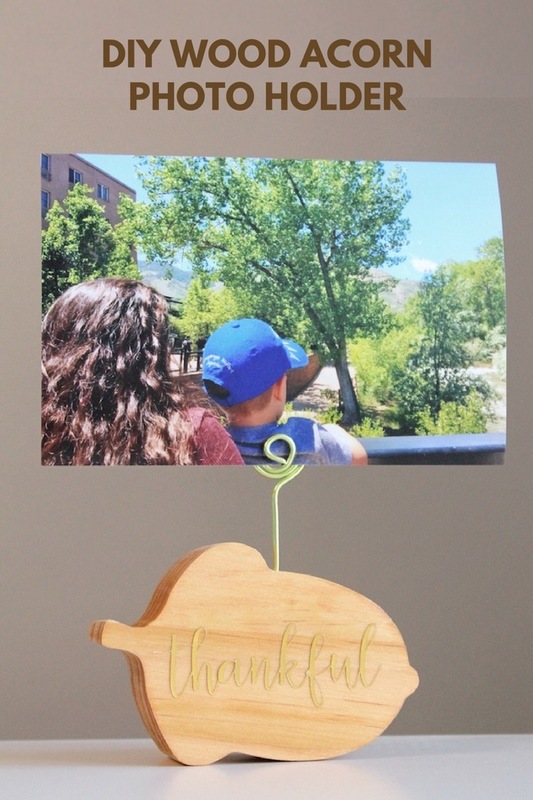 They’re the perfect size for creating these fall photo holders! 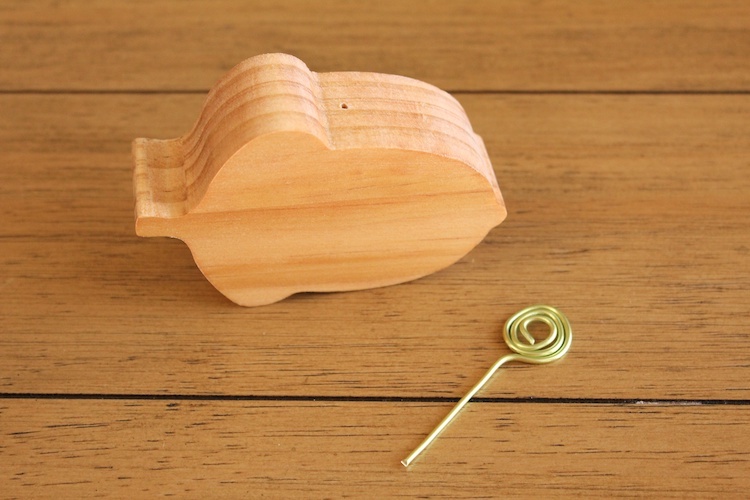 I chose the small wood acorn, but if that’s not your thing Target also carries wood pumpkins and leafs in various sizes. The floral wire is 14 gauge and comes from the dollar store. 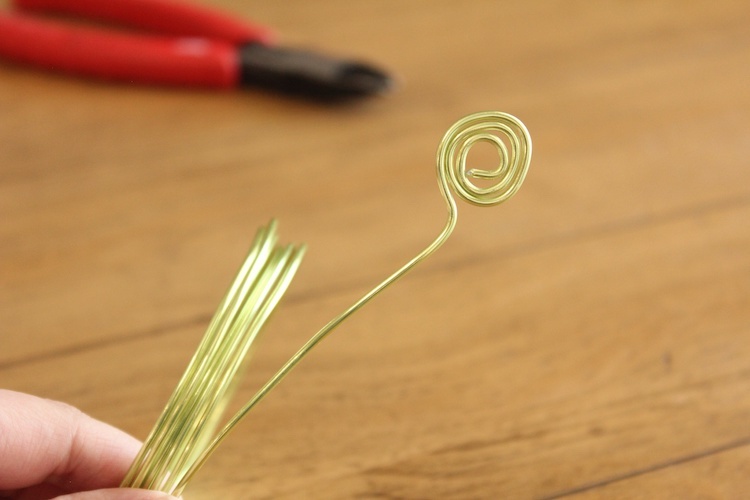 The floral wire bends very easily. 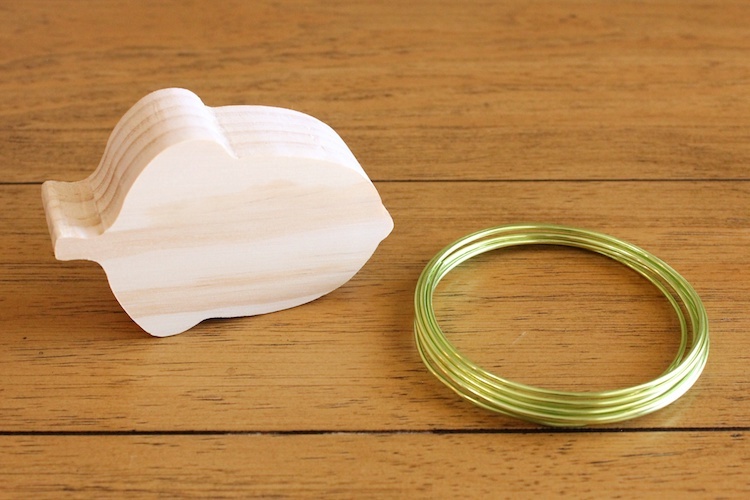 Start at one end and bend it into a flat coil with your hands. 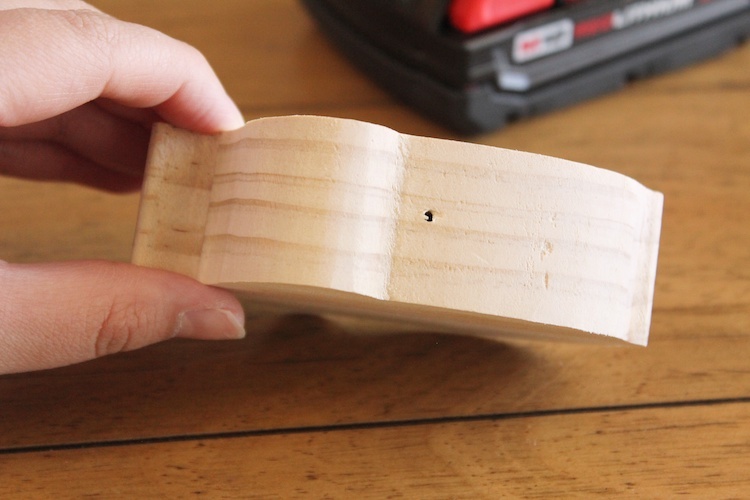 Straighten out the end so it is long enough to fit into the wood and then cut it. Drill a small hole from the top of the acorn about one inch deep. Check to see how the wire fits. Now is a good time to stain or paint the wood if you’d like. 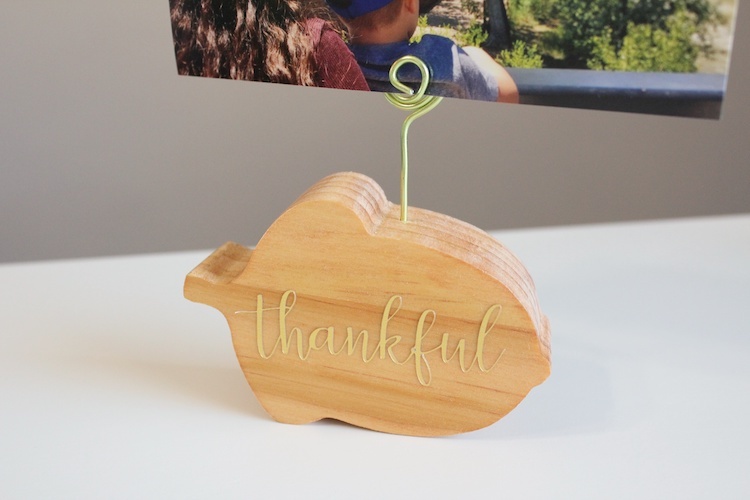 After I stained the wood I added the word “thankful” that I cut out of gold foil. If you like this look but don’t have a Cricut or Silhouette keep a look out for similar stickers like these. Push the middle of the coil out a bit and then tuck the photo in. It holds a 4×6 nicely. I seriously can’t have enough ways to display photos so I’ll be making more of these gorgeous wood displays.